This service is for customers who have access to a Data Publishing Service, but need training in the preparation of their data and metadata. Utilising free open source software (FOSS) it is possible to comply with the Inspire Legislation. GGP Inspire is a consultancy support service that assumes that the client has access to a Data Publishing Service and requires an understanding on how to prepare their data and metadata. By making use of GGP’s expertise, a cost effective solution can be implemented with the minimum of effort and very little disruption. Telephone support with our support team. 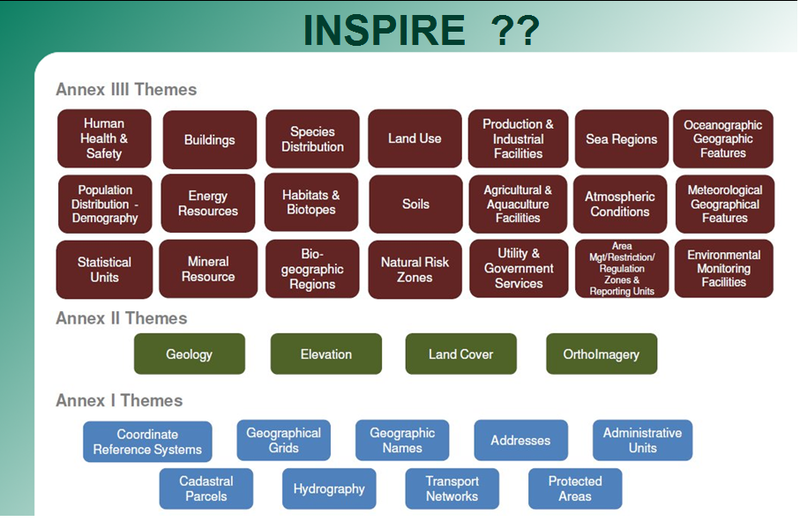 1) General overview/Introduction of INSPIRE. 2) Fill in the metadata form in GIS Metadata editor only. 3) Consultancy on how to make overlays and the associated metadata available for the INSPIRE intiative. 4) General information on good Metadata maintenance practice. 1) Copy data to required formant (eg SHP, Mid/Mif, etc). 2) Fix geometry errors in GIS prior to migration. Package includes installation of GeoNetwork and GeoServer with minimum configuration. 1) Installation and configuration of GeoNetwork and GeoServer. Configure GeoServer to serve the layer data. 2) Customisation of the GeoNetwork site to reflect the client corporate design. 1) Customising GeoNetwork style sheet to client requirements. 2) 3 days support for any other customisation requirements. 1) Communication of any recent changes in INSPIRE directive requirements. 3) Review of customer’s current INSPIRE GIS data maintenance processes. 4) Upgrading and maintaining GeoServer and GeoNetwork. 4) General information on good Metadata maintenance practices. 1) Copy data to required format (SHP, Mid/Mif file, etc). Assist clients in making INSPIRE layers accessible through the clients Data Publishing solution. 2) Review of customer metadata files based on GIS data. 3) Review of customers current INSPIRE GIS data maintenance processes. 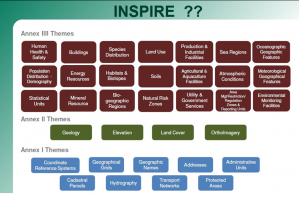 3) Consultancy on how to make overlays and the associated metadata available for the INSPIRE initiative. 5) How to prepare data for INSPIRE. 6) How to upload metadata to data.